Alternative Power Systems of Canada (APS), a division of the Olson Group of Companies, has a team with an unparalleled range of technical expertise. With our written warranties for system hardware, installation, and power production, you can rest assured that your system is engineered, installed and maintained to give you years of worry-free service; all at the best prices in Western Canada. Rikur Energy Inc. is a full-service, turnkey solar energy provider. 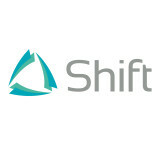 We bring the highest level of experience, quality, customer service, and purchasing power. Our in-house resources include complete development, design, engineering, permitting, construction, ongoing operation, maintenance, and monitoring. Rikur Energy is headquartered in Metro Vancouver and has a growing presence throughout the lower mainland. 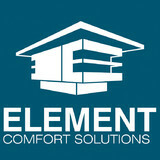 Element Comfort Solutions is the Solatube skylight dealer, installation team and a Phantom retractable screen door dealer for the greater Vancouver region. Whether you need natural light with a solar tube, fresh air with a retractable screen, shade from a retractable awning, a pergola cover, comfort from a roll screen patio enclosure or the security of a roll shutter, we have found the best in the industry for you. Your personal needs are the most important part of our job so tell us what you need. We'll do our best to make sure you get what you are looking for. We are Solar Specialists, offering full service, turn-key solar solutions from Design to Installation. Terratek Energy is BC's most experienced solar contractor. With three locations to serve you and competitive pricing, we are your best choice for solar in BC. 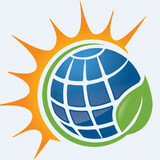 Our vision of the Solar Community is to lead other communities towards a more environmentally responsible way of living. It is our mandate to reveal to communities current and future needs, educating community members and leaders making them aware of the many great environmentally friendly choices they have. The Solar Community blends human comfort with solar power. We intend to help lighten or eliminate our footprint on Mother Earth by creating a cleaner Earth by creating a cleaner environment now and leave behind a pristine legacy, We can do this by using renewable energy combining it with high efficiency heating and cooling equipment. We offer products that carry extensive warranties, many up to 25 years. Solar Power Is Here. Solar Accessories Inc offers a full line of Solar Powered products that harness the suns energy in quality Lithium-ion batteries providing light and energy to our consumers. consultation and project development for sustainable building and renovation. Let’s say you want a solar electric system for your home. An off-grid system basically consists of solar panels and battery banks. These battery banks store the sun’s energy so you can use electricity at night or on a cloudy day. This system is designed to keep household electricity running for about two or three cloudy days; longer cloudy periods require a backup generator. To install an off-grid system, you’ll want to hire a certified British Columbia solar energy contractor. Along with off-grid solar, wind and hybrid energy systems that include batteries and backup generators, there are also grid-tied solar and wind operations. Grid-tied systems are attached to your Richmond, BC utility company so if you produce more energy than you use, your meter goes down and you build up energy credits. Can you give me any information on British Columbia solar rebate programs? 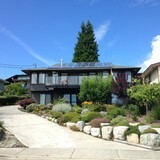 Find solar energy contractors in Richmond, BC on Houzz. Search the Professionals section for Richmond, BC solar energy contractors or browse Richmond, BC photos of completed installations and look for the solar energy contractor’s contact information.